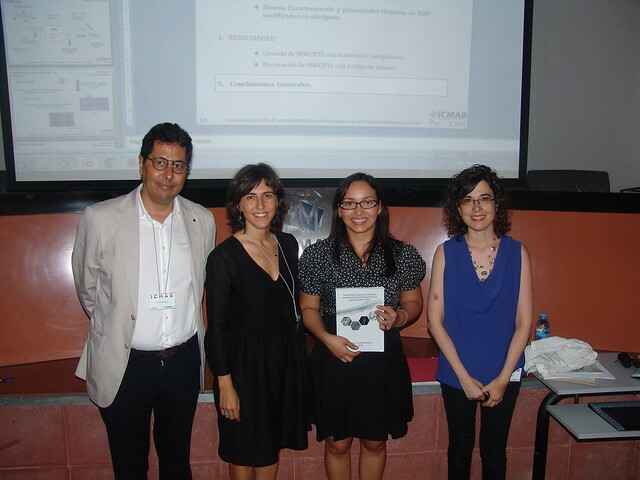 Congratulations to Stefania Sandoval for obtaining her PhD with a Thesis entitled "Funcionalización de Nanomateriales de Carbono con Nitrógeno, Haluros y Óxidos"
Graphene and CNTs-based materials are of a wide interest in materials science due to their outstanding properties. The modulating of their properties through the diverse approaches of modification enhances their potential applications in many fields. 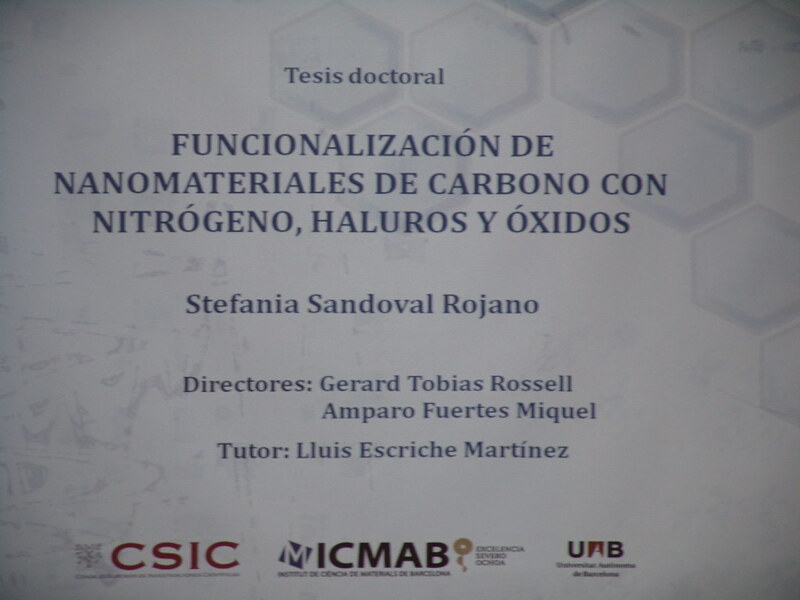 This thesis reports on the functionalization of carbon nanomaterials with nitrogen, halides and oxides. The modification of the structure of multiwalled carbon nanotubes and graphene derivatives has been carried out through solid-gas and solid-liquid reactions. Different methods of functionalization, which includes oxidation, nitrogen functionalization and doping, as well as endohedral and exohedral modifications have been employed for tuning the properties of the prepared nanostructures. A systematic study of the conditions of treatment and an extensive characterization allowed the determination of the structural characteristics of the samples and the evaluation of some of their physical and chemical properties. In this thesis we propose a simple, efficient and reproducible method for the synthesis of nitrogen-containing RGO. The nature of the nitrogen atoms within the RGO lattice has been tuned by ammonolysis treatments of GO in the range of 25 ˚C-800 ˚C. The reported protocol allows the introduction of aliphatic moieties (N-functionalization) and structural nitrogen (N-doping). 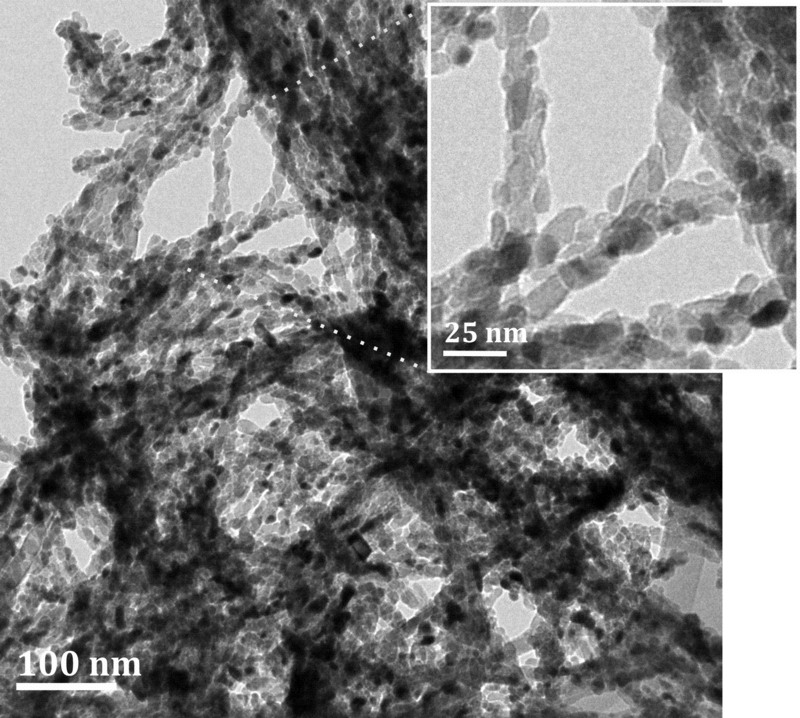 Additionally, the structural composition of the N-containing RGO has been modified by post-annealing the material under non-oxidizing atmospheres. High temperature treatments induce internal rearrangements, leading to samples with an enhanced thermal stability. On the other hand, endohedral and exohedral functionalization of MWCNTs have been carried out. 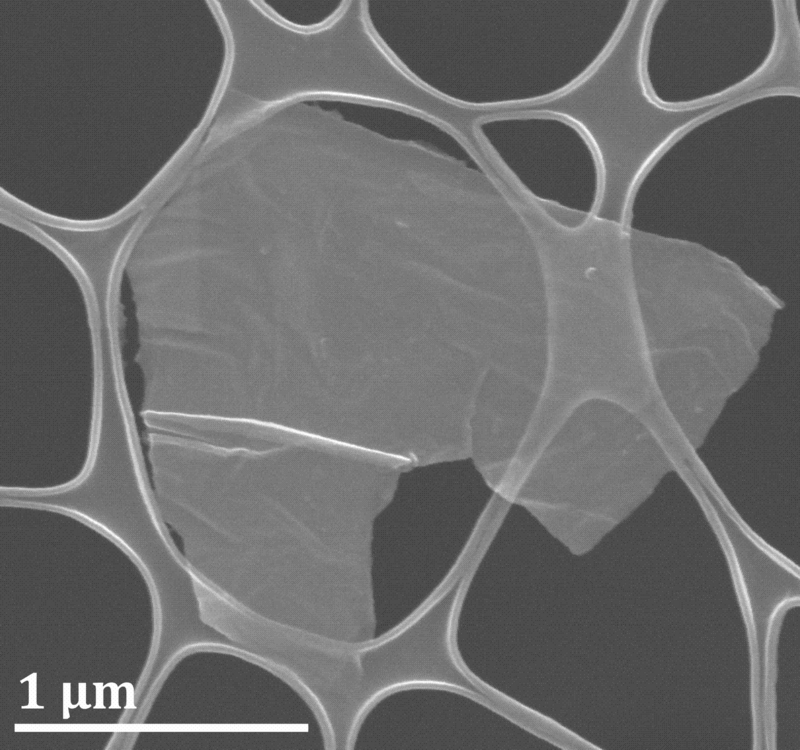 We report on the formation of single-layered inorganic nanotubes within MWCNTs through a molten phase capillary wetting technique. We also register the formation of other nanostructures, namely, nanoparticles, nanorods and nanosnakes of the employed inorganic halides. A new technique for the confinement and/or release of the filled substances within the hollow cavity of the CNTs has been developed. We have explored the potential use of fullerenes as corking agents and promoting species for the release of guest structures. Finally, we have prepared MWCNTs decorated with titanium oxides employing high temperature treatments. The potential applications of the obtained materials in the photodegradation of organic compounds are studied. Secretaria: Dra. Eva Pellicer Vilà, Universidad Autónoma de Barcelona.